The Sonata is designed for students and professionals with flexible arches. The Sonata has an unsecured heel and with the design of the shank works together to stabilize, support and align the foot 'en pointe'. With less resistance from the shank past the break point, the dancer will feel well supported and uplifted 'en pointe'. The combination of the unsecured heel, platform shape and the design of the shank work together to stabilize, support and align the foot 'en pointe'. 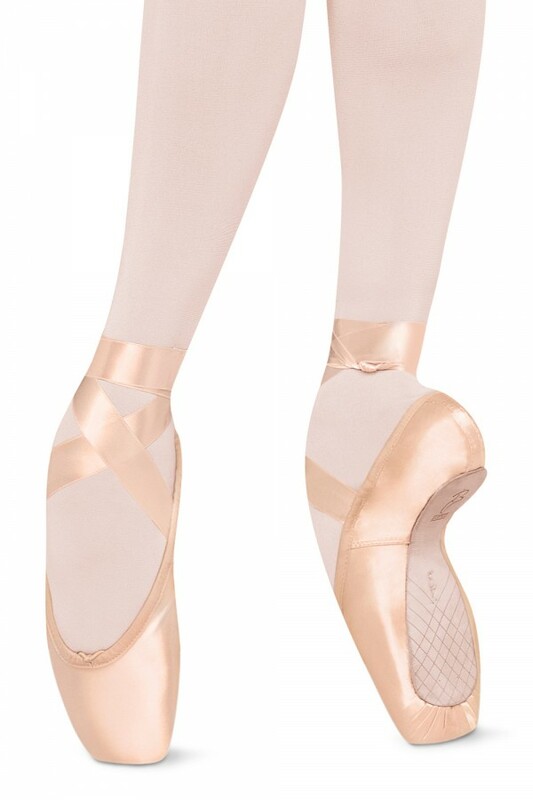 Inside the box at the platform is a soft sponge cushion insert, which gives extra comfort and protection when standing 'en pointe' and acts as a shock absorber. For the dancer with very flexible arches the Sonata actively supports the foot under the metatarsals but still allows the foot to arch at the 3⁄4.